Your mind is being controlled by distant strangers who don’t have your best interests at heart. If that sounds like a paranoid fantasy, brace yourself and read on. These are the findings of a series of scientific studies that show how a few dominant institutions have the power to affect how you feel, how you act, and even how you vote – without you ever knowing about it. Deliberate mind manipulation of the masses is, by itself, nothing new. Nearly a hundred years ago, our global mania for consumption was unleashed by the malevolent brilliance of Edward Bernays, known as the “father of public relations.” Bernays was Sigmund Freud’s nephew and used his uncle’s insights into the subconscious to develop his new methods of mind control, designed to create the modern American consumer. [T]he conscious and intelligent manipulation of the organized habits and opinions of the masses is an important element in democratic society. Those who manipulate this unseen mechanism of society constitute an invisible government that is the true ruling power of this country. We are governed, our minds molded, our tastes formed, our ideas suggested, largely by men we have never heard of… In almost every act of our daily lives… we are dominated by the relatively small number of persons … who pull the wires which control the public mind. His teachings have spawned the interfaces of our new daily routines: the chimes from our smartphones diverting our attention, the thumbs-up icon on our news feeds, and the Like statistics telling us how popular we are today. These are known as “hot triggers” which kick off behavioral loops in our subconscious. Successful apps, they teach, are those that trigger a momentary need, and then provide us with an instant solution. The solution sparks a micro dose of endorphins in our brains. That feels good. So, like rats on a wheel, we find ourselves getting addicted, going back for more. Facebook has built its global empire of 1.6 billion active users on this addictive routine. According to one of Fogg’s students, Nir Eyal, Facebook’s key trigger is FOMO: fear of missing out. Humans evolved in hunter-gatherer bands, where survival meant being part of the community. The social anxiety of missing what our friends are doing arises from deep within our hormonal system. Meanwhile, as psychologist Sherry Turkle has pointed out in her book Alone Together, we sacrifice our daily physical intimacy with those around us by focusing our attention on the screen in our hands. This has been brilliantly captured by artist Eric Pickerskill in his photography series, “Removed,” which documents the feeling of everyday social situations – after removing people’s smartphones from the picture. Facebook has been researching the extent of its power over our behavior, manipulating its own users as guinea pigs. On election day in 2010, it sent “Go out and vote” reminders to more than 60 million users, causing an estimated 340,000 to vote who otherwise wouldn’t have. If it chose to send these reminders to supporters of a particular party or candidate, it could easily flip an election without anyone knowing about it. Under current law, it wouldn’t have to tell anyone what it was doing. In another experiment, which caused a public outcry, Facebook successfully manipulated the emotional state of 689,000 users by sending them either an excess of positive or negative terms in their news feeds. The mind control doesn’t stop at social media. Do you believe in your autonomy when you’re carefully conducting research on a topic and use Google to search for something? Think again. Psychologist Robert Epstein has unearthed the massive subliminal power of what he’s called the Search Engine Manipulation Effect, or SEME. This effect is based on the fact that when we search, we click half the time on one of the first two results, and more than 90% of our clicks are on the top ten links listed on the first page. There might be thousands of other web pages containing our key words, but Google decides which ones we’re going to read. Epstein and his associate Ronald Robertson wanted to test whether SEME could impact how people decided to vote in an election. They asked a sample of Americans to research candidates for an Australian election (to minimize preconceived notions about the candidates) using their own mock search engine, “Kadoodle.” They randomly divided the sample “voters” into three groups, and served up the same results to each group. The only difference was the ordering of the results: one group’s results favored one candidate; another group’s results favored the opposing candidate, and the third group saw results that favored neither candidate. The results were staggering. The proportion of people favoring Kadoodle’s “favored” candidate increased by 48%. Disturbingly, three quarters of the people in the manipulated groups were completely unaware of any bias in their search results. In the “neutral” control group, there was no significant shift of opinion. Would they do something like that? It turns out that Eric Schmidt, the executive chairman of Google’s parent company, has funded a semi-secret company, The Groundwork, to provide Hillary Clinton the engineering talent she needs to win the election, prompting Wikileaks founder Julian Assange to call Google “Hillary’s secret weapon.” Meanwhile, Hillary has hired a longtime Google executive as her chief technology officer. If Google were prioritizing pro-Hillary search results over those favoring Bernie Sanders, we’d never know. The British economist Kenneth Boulding once warned: “A world of unseen dictatorship is conceivable, still using the forms of democratic government.” So you decide, is your mind being manipulated? Until these unseen influencers are better regulated, there are still some things we can do to protect ourselves from their mind control. One idea, suggested by technology thought leader Jaron Lanier, is to investigate your relationship with social media and take back your power to choose by conducting your own experiments. Consciously go through periods of complete disengagement from social media – a day, a week, or a month – and notice how it feels. How strong and how frequent were those urges to reconnect? Did you miss anything? Did anything positive arise in their place? Another idea is to become aware of the sources of our news. Notice the extent to which you live in an information silo. Make a regular habit of checking the websites of news sources outside your ideological comfort zone. When conducting a search on Google, see what’s listed two or three pages down, and occasionally try an alternative search engine for a reality check. DuckDuckGo is one that doesn’t track your activity, meaning you will get a more neutral result. Finally, we can use the realization that our minds are being manipulated to delve deeper into the patterns of thought instilled in us from early infancy by our culture. What ideas do we take for granted that are really constructions of the global corporate profit machine? What implicit beliefs do we hold about the world that are merely the result of deep cultural indoctrination? 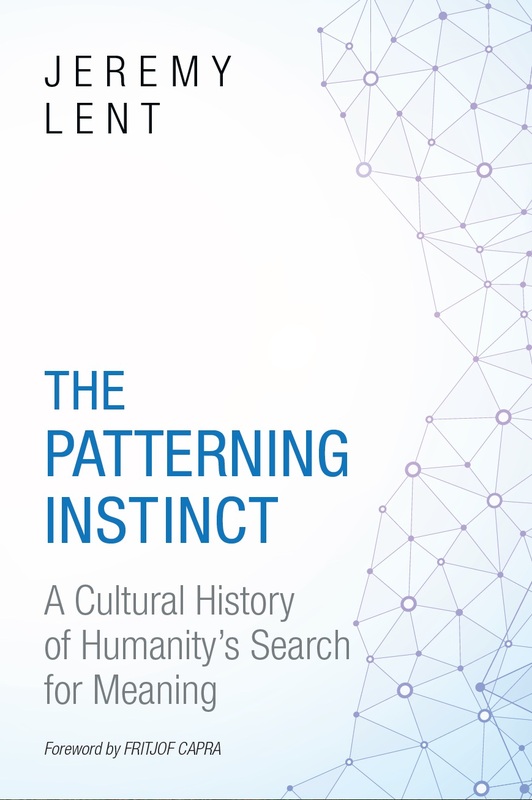 My book, The Patterning Instinct: A History of Humanity’s Search for Meaning, attempts to unearth some of these. 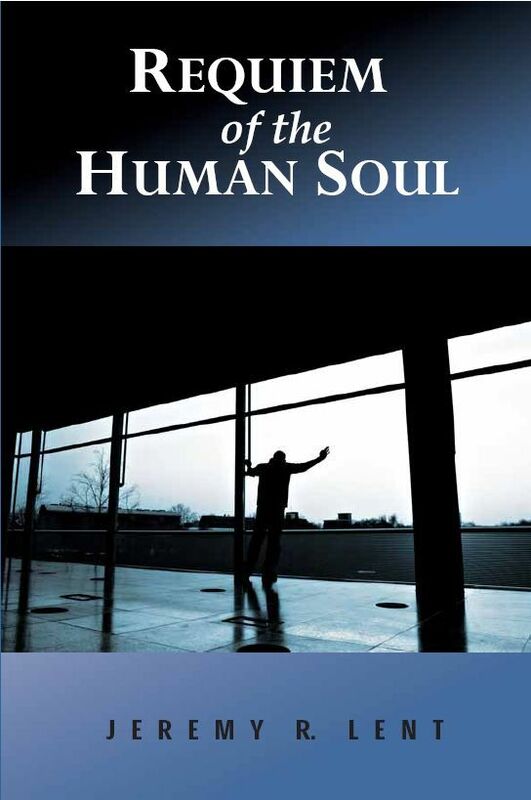 Asking these questions, while consciously searching for patterns of meaning that could lead to a more equitable and sustainable world, offers a pathway of liberation from the mind control those distant strangers are attempting to impose on us. Cited in Gore, A. (2013). The Future: Six Drivers of Global Change. New York: Random House, Ch. 4. Weisberg, J. (2016). “We Are Hopelessly Hooked.” The New York Review of Books, February 25, 2016. Ibid; Turkle, S. (2012). Alone Together: Why We Expect More from Technology and Less from Each Other New York: Basic Books. Epstein, R. (2016). “The New Mind Control”. Aeon (published online). Spannos, C. (2016). “If Google and Facebook can flip elections does code now rule the real world?” New Internationalist Blog, March 11 2016. Posted on April 21, 2016 by JeremyPosted in Global Capitalism, WorldviewsTagged bernays, captology, consumer culture, duckduckgo, facebook, google, hot triggers, jaron lanier, mind control, SEME, the groundwork, the patterning instinct, Worldviews. Pingback: On the difference between schizophrenia and trauma induced psychopathology, and neuro fasciitis”: part one – Research and data about organized stalking, gang stalking, multi stalking, community mobbing, and community policing. i think that mind control or brainwashing use in medicine field is usefull to improve patients health situation, according to the retailers point of views is even usefull to influence customers to buy (mass customization or mindmanipulation), or students to pay the fees to repeat the courses, (it happens when the actors related to the fields said before (customers) do not know about mind control existence and behave themselves as they feel or they are said to do, at the same time to not accept a mindcontrol situation and to accept the sickness existence improve the turnover for pharmaceutical industries: patients who do not know about hidden technology might be forced to get medication because of the sicknesses created by that technology. it looks like some retailers used that situation not only to lounch new products (food, shoes, cloths, iphone, …… new medicine tablet) in the market and to make more interesting the new products when they speak about revenue during a conference, but even to increase the turnover. i would like to remember that mindocntrol is even used to create a mistake situation for workers (workers who do not know about that system at the working company make mistakes used to not recognize the workers merit). so according to me mindcontol and brainwashing situation that influences badly society (gang stalking, mobbing, psychiatry …….) must be eliminated even by law, the use in other fields that make people happy should be appreciated. you are right when you speak badly about mindcontrol. some years ago it was not know because it was the cause of many people deads (such as Monroe, Kennedy …… please read through internet), and other deads of people less famous. when something strange happens for instance deads not justified empirically, you have to think always about mindcontrol: case of killer existence, people murdered…..
animals also, they are more manipulated by mindcontrol ….. and they react irrationally as it happens for people killer …..
Pingback: Las Vegas shooter Stephen Paddock slandered after death: patterns in gang stalking – Research and data about organized stalking, gang stalking, multi stalking, community mobbing, and community policing. We’re not passive and helpless consumers of media. We need to take responsibility for the media we consume. You can’t fool all of the people all of the time. People have grown distrustful of the media. The problem with the media is what they don’t say rather than what they do. Pingback: TRANSITIONING FROM DEFAULT CORPORATE MIND-CONTROL – OPEN PUBLIC POWER-POINT TO 5D MATRIX DURING AND BEYOND 2019.